… is something out of place? 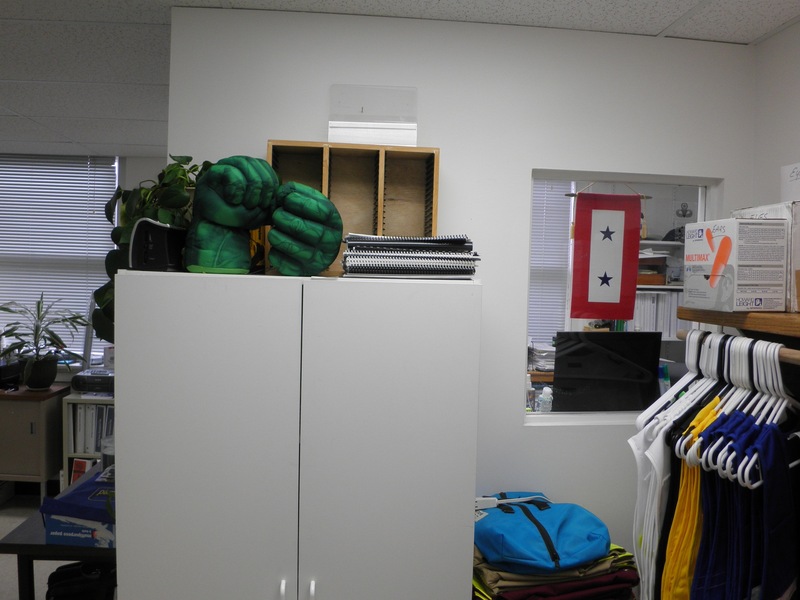 Doesn’t every well equipped office space have Incredible Hulk gloves on top of the cabinet? 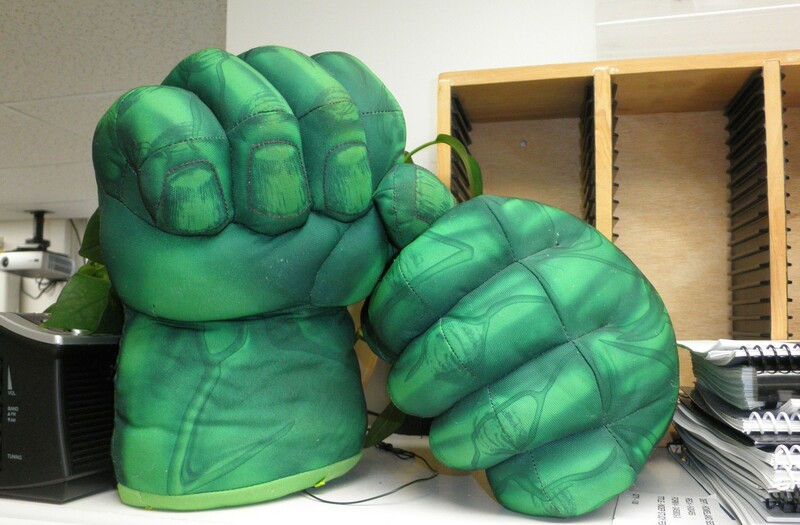 They’re a little big on me… but they do make fun, scary, roaring sounds! Most unusual, Your hubby must have an unusual job. 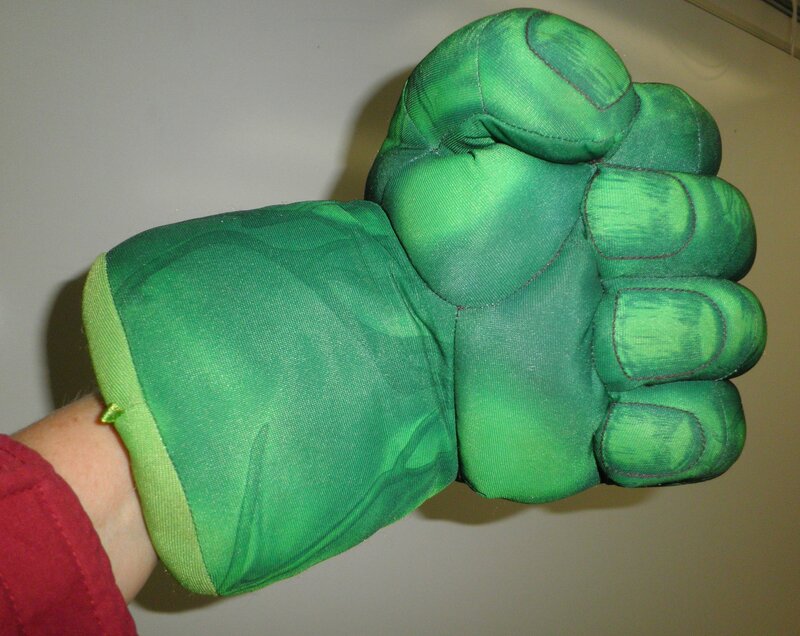 Is he often disguised as the hulk? The male influence is obvious 🙂 Not a feminine touch with those gloves. Oh yes, much male influence! Thanks:) That was a fun photo challenge.